Stunning comeback: India were brilliant at Trent Bridge. What a difference a Test makes. 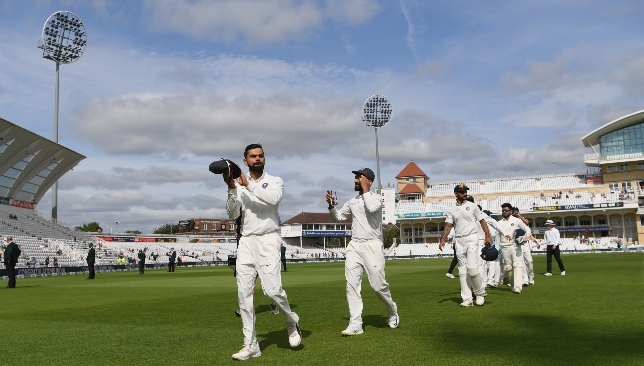 England entered the Trent Bridge match riding the crest of a wave and 2-0 up, aiming to clinch the five-game series against a confidence-stricken India with Ben Stokes back in situ. But now, after a brilliant 203-run comeback win by the tourists in Nottingham, it’s game on and the hosts are the side that now seem to have all the problems. For better for worse and whatever your allegiance, we certainly wouldn’t have the ebb and flow of Test cricket any other way. The fourth Test gets underway in eight days time in Southampton (August 30) and while world No1-ranked India will have their tails up, for England, it is a different proposition. Stokes’ recall to the eleven was the big discussion point ahead of the third match as Sam Curran unluckily missed out. Joe Root made plenty of noises about how difficult that decision was but he and the selectors have even more to make for the fourth Test. Injury was added to insult when Jonny Bairstow sustained a fractured finger at Trent Bridge and with England’s in-form batsman set to miss the remaining two matches, a replacement could be needed despite suggestions he will play as a specialist batter. Do England look to someone like Surrey gloveman Ben Foakes to make his Test bow? Unlikely. Expect Jos Buttler – fresh from his maiden Test ton – to keep wicket as well as play a decisive role down the order with what English fans will hope is increased confidence levels on his part. There are plenty of more questions to ponder. England desperately missed Curran’s left-arm variety and swashbuckling youth with the bat. The most damning thing about his omission was that it gave India a mental boost by not seeing his name on the teamsheet. Promising youngster Ollie Pope is just 20 but as harsh as it is, Test cricket is not a place to groom that potential in such a big series and it would be a wise move to take him out of the firing line. He may, however, have to play. Out-of-sorts opener Alastair Cook could miss the next match to be present at the birth of his third child while the axe seems set to come down on Keaton Jennings’ England career. The opener, who was given his second chance in Test cricket this summer, has struggled to resolve his frailties outside off-stump while his drops in the slip cordon speak volumes of a man whose self-belief is low. Potentially, England could need a new opening combination with Surrey’s Rory Burns an option to bring in for his Test bow and it is also a genuine possibility to recall Moeen Ali, who this week pressed home his hopes with a double hundred and a handful of wickets for Worcestershire. Meanwhile, at 36, Ian Bell’s international career is pretty much done. Chief selector Ed Smith and his second in command James Taylor – who were openly criticised by Steve Harmison for watching the third Test live instead of being present at county matches – face difficult choices in the intervening period between matches. Skipper Joe Root was out cheaply in the second innings. 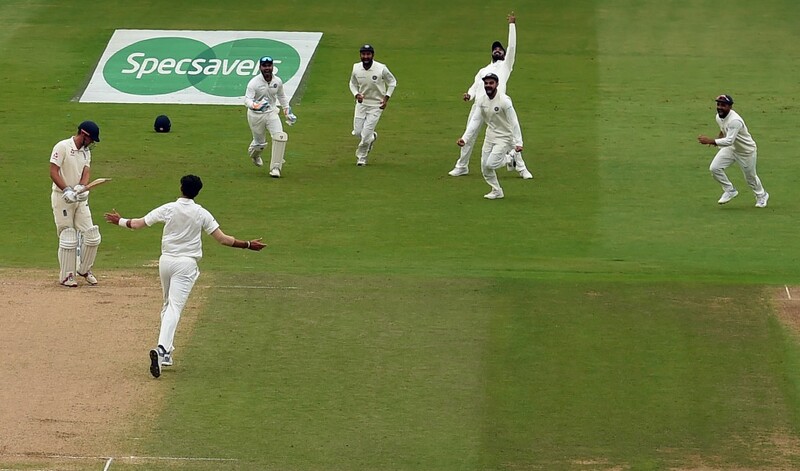 Led by Virat Kohli‘s superb batting and fine on field leadership, the Men in Blue reacted in the finest way possible to that humbling defeat at Lord’s. All of a sudden, India have a big opportunity to level the series at Southampton and flip the English summer on its head. Unlike England, India reaped the benefits of spot-on selection with the return of fit-again Jasprit Bumrah giving the tourists’ attack much-need cut and thrust, as well as real pace, while Rishabh Pant’s effectiveness behind the stumps has brought a renewed sense of calm that every chance will be taken. For the first time in his captaincy reign, Kohli could name an unchanged side for the fourth Test providing Ravi Ashwin completely shrugs off his hip injury. The picture is much brighter for the subcontinental giants than it was last week and a complete turnaround is now a distinct possibility. Virat Kohli has led by example. England’s batting collapse woes and tendency to self-destruct is of great concern. Root’s men lost all 10 wickets in a single session, between lunch and tea, to be dismissed for 161 in their first innings and let’s not forget in the second innings at Edgbaston they were 87-7 and 131-5 at Lord’s. Since the start of 2016, in 61 innings, England have lost their first four wickets having scored 100 runs or less on 30 occasions. For too long, the top-order has struggled – no matter what the personnel – with the onus often on the lower middle-order as a get of jail card option. 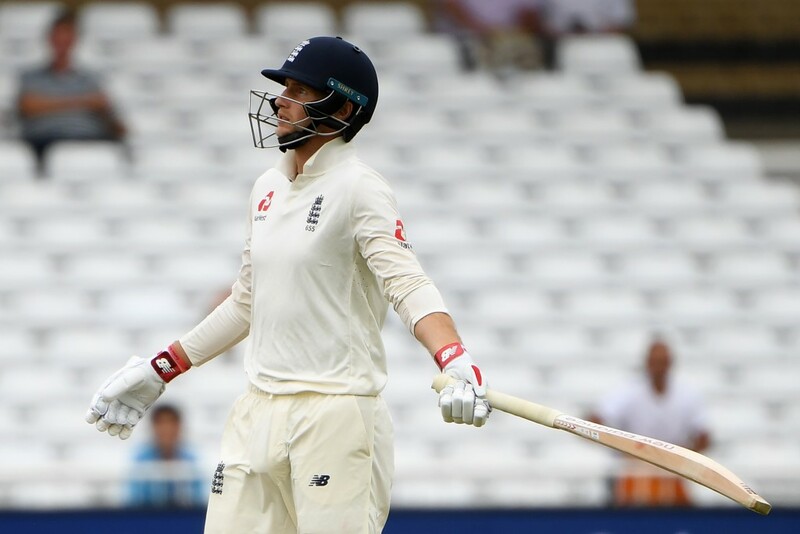 Reportedly, Root and Trevor Bayliss had a fiery exchange when discussing England’s plight with the bat at Trent Bridge and more collapses of that nature will probably prove series-defining. India celebrate Alastair Cook’s demise. Virat Kohli's victorious men leave the field. England lost the third Specsavers Test by a mammoth 203 runs as India cut the hosts’ series lead to 2-1 with two to play. England managed to delay the inevitable into the final day at Trent Bridge thanks to the batsmanship of Jos Buttler and Ben Stokes – and then Adil Rashid’s sketchy survival deep into the previous evening. They resumed, however, on 311 for nine – one delivery away from defeat, with a world-record target of 521 to win a notional irrelevance. It took just 17 balls, and 10 minutes, for the final wicket to fall in front of a sparse crowd – who did not pay to watch, after Nottinghamshire decided to allow free entry. They witnessed two uneventful overs and then the dismissal of number 11 James Anderson, caught at slip when a delivery from Ravi Ashwin spat and turned to loop up off his glove and end England’s second innings on 317 all out. A match which was effectively won and lost inside one session on day two, when England lost all 10 first-innings wickets between lunch and tea, therefore concluded predictably. India’s victory means all outcomes remain possible in this series, which will resume in Southampton next week. India have pulled themselves back into the series with 203-run win. 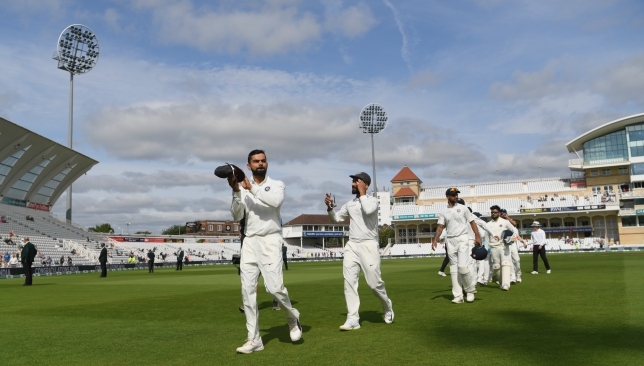 India completed a huge 203-run win in the third Test against England at Trent Bridge as Ravi Ashwin dismissed James Anderson in the third over of the final day on Wednesday. Chasing a mammoth 521 for victory in their final innings in the third Test, England resumed from their overnight score of 311-9 with Adil Rashid (30) and James Anderson (8) as the unbeaten batsmen. Jos Buttler (106) and Ben Stokes (62) staged a minor fightback for the hosts on day four to frustrate the India before Jasprit Bumrah (5-85) brought the visitors roaring back with the second new ball. In the first innings, India skipper Virat Kohli (97) had helped the visitors post 329 before England were bowled out for 161 in their reply. 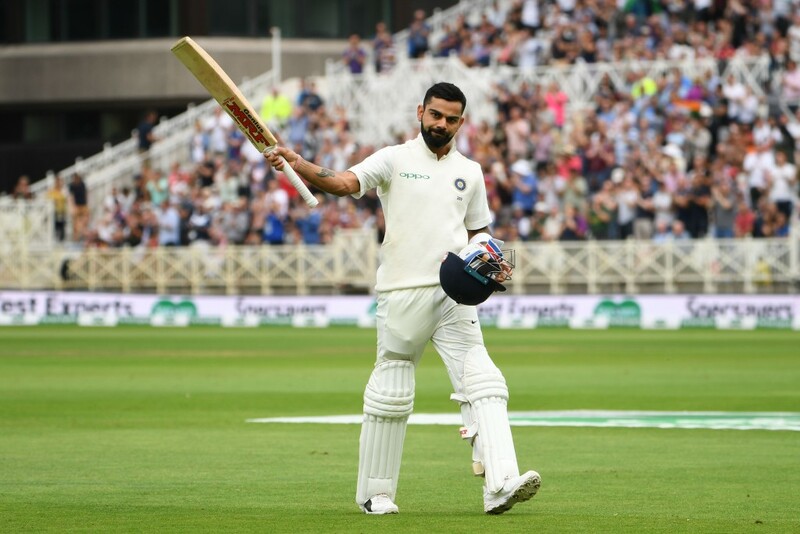 Kohli was on song in the second innings as well with his 23rd Test ton guiding India to 352-7 (declared) as England were set an improbable target. 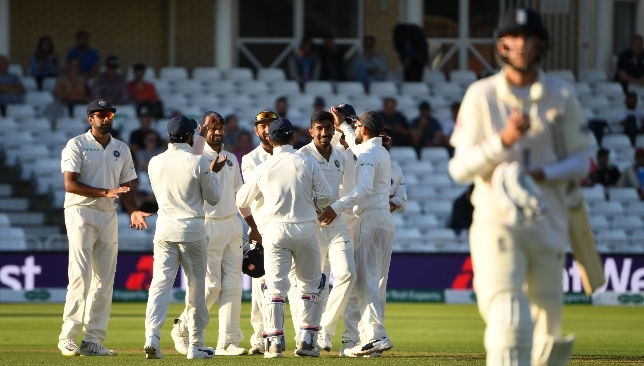 India have now made it 1-2 in the five-match series after the visitors suffered losses at Edgbaston and Lord’s.